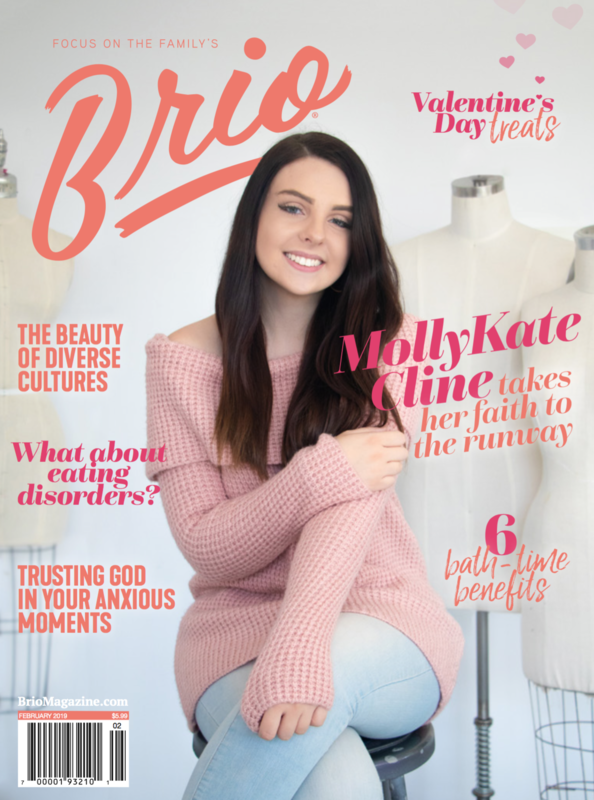 Founder of MollyKate Cline LLC, MollyKate combines her love for sustainable clothing, photography, faith, and mental health awareness, into an online blog and clothing shop for the free spirited ethereal woman. 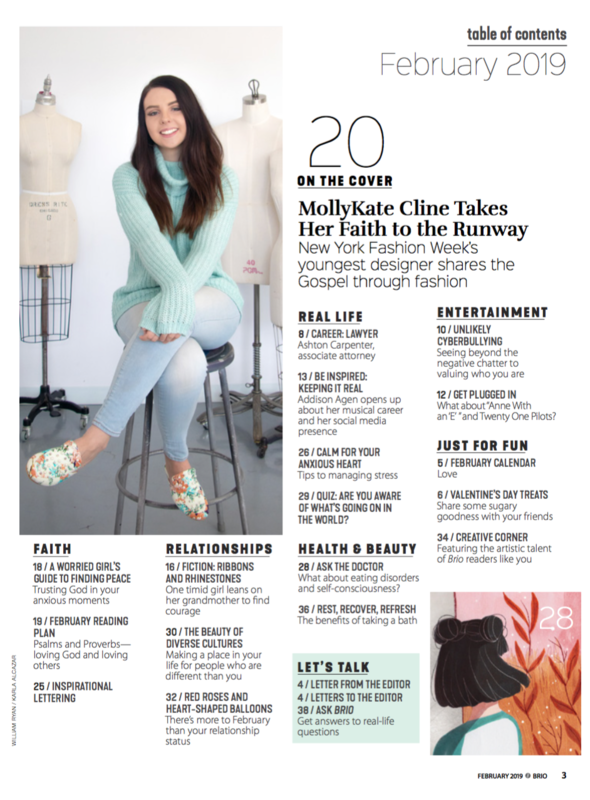 With adventures taking her from the runways in NYC to speaking engagements around the world, MollyKate inspires women to live a faith filled life that is rooted & established in love. Currently obsessed with: chai tea lattes, antique stores, worship music and anything rose gold. MollyKate Cline is currently 20 years old and in her junior year of college at the Columbus College of Art & Design. There, she studies fashion design, with a double minor in business and photography. MollyKate loves learning about clothing production through her internships, and is fascinated with the various fibers used to create garments. As she learns more about fashion design, she is excited to share both her products and industry knowledge with other young women. 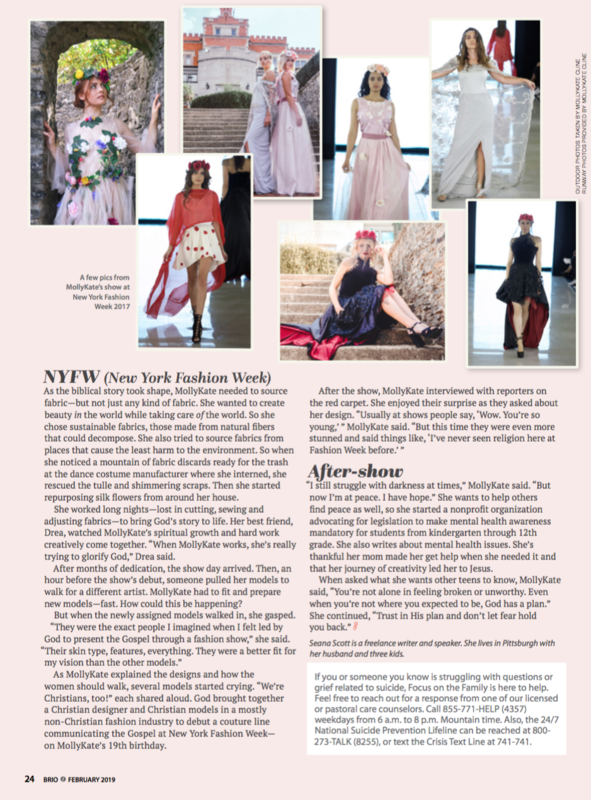 MollyKate's clothing, photography and writing have been featured in various outlets such as: New York Fashion Week, Los Angeles Fashion Week, Phoenix Fashion Week, DC Fashion Week, Teen Vogue, The Washington Post, NBC4, The New York Daily, Girl's Life Magazine, J-14 Magazine, and more. sustainable fashion designer. photographer. blogger. podcast host. mental health advocate. ENTREPRENEUR. college student. "her depression was strong, but her faith was stronger"